Day 3: Kyoto - back at the entrance to Fushimi-Inari. 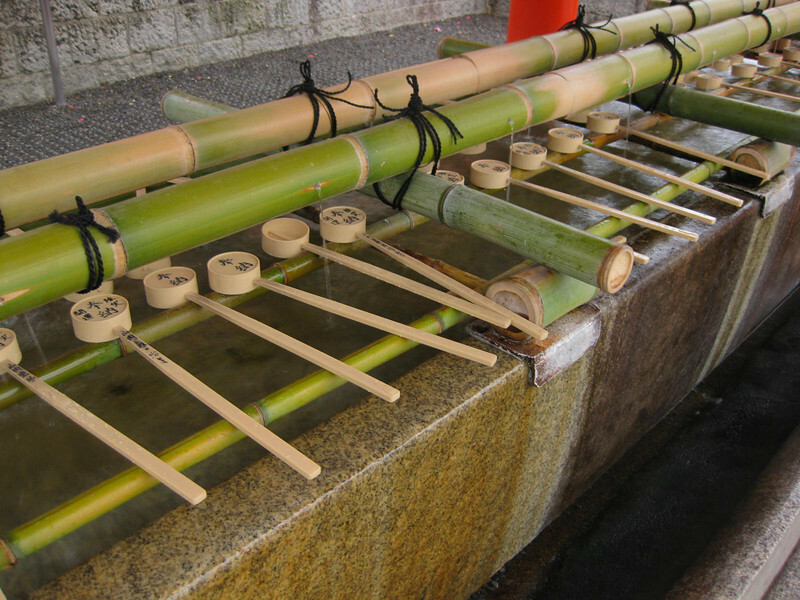 At every Buddhist temple--large or small--there was some type of pool or fountain like this one, with ladles. The ladles are used for washing the hands before entering the temple to pray (apparently, not everyone who goes there is a picture-snapping tourist).